I’m gonna go out on a limb and say it: I think most beauty routines out in the blogosphere are stupid; most are unnecessarily complicated and offer marginal benefit over simply washing & moisturizing. I have fairly “good” skin, at least I’ve been told I do. Every once in a while, a few blemishes pop up, and you have to be very close in bright light to see any fine lines; it’s no big deal. I’ve tried a lot of beauty products in my life and quit almost all of them, now that I’m older and wiser. My routine is simple. Every night, I soak a clean 100% cotton terry cloth face towel in hot water, wring out the excess water and gently press it against my face, then wipe down areas prone to more oil and bacteria (around the mouth, eyes, and nose). While my skin is still moist, I apply Dr. Hauschka’s light rose day cream (although it says “day cream”, I use it at night). When I shower, I use a bit of lather from my usual bar soap on my face and do a quick rinse. Every few months, I’ll notice more build up in my pores, especially on my nose. For these times, I like to do a 15 minute clay mask, which does an incredible job clearing pores as it dries. I use the same jar of Aztec secret indian clay mask that I bought 5 years ago (a little goes a long way), but I think any clay mask will work. It’s easy to let clever marketing prey on our insecurities about aging, and convince us that we need a ton of products: Evian water mists, toners, elixirs, exfoliating scrubs, peel off masks, eye creams, etc… No thanks! We really don’t need all that extra stuff. I’ve used it all: toner, skin softeners, oils, scrubs, special soap, eye creams, sulfur powder, you name it… and none of it made a difference, except to clutter my home and waste money. Don’t get me wrong, there are people with legit skin problems that probably do need more. But for the rest of us, I think the less is more philosophy applies to our beauty routine too. We all want to be proactive about maintaining youthful skin but maybe we’re all doing more harm than good by lathering on a ton of chemicals everyday. 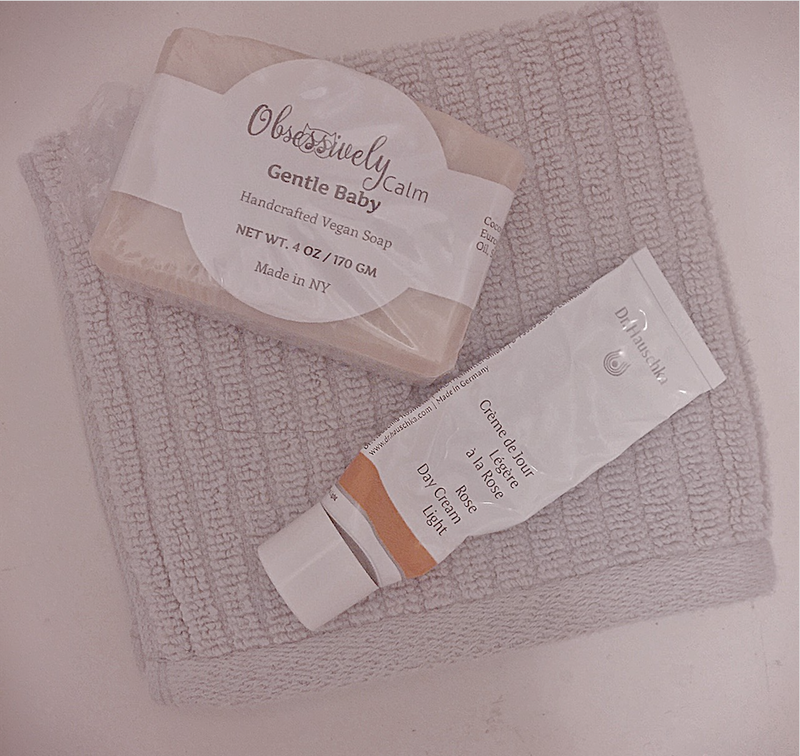 A hot towel and moisturizer is probably all we need most days. There’s no reason our faces need to be disinfected and stripped of its natural oils every day. I’m no expert, but can say that this simple routine plus sunblock is all I do and has kept my skin looking good in the past couple of years. How about you? Do you think there are products you can weed out of your routine? I think after subscribing to beauty boxes for a bit, I ended up with a bunch of samples I’m still going through (and I’ve unsubscribed long ago). I use either a gentle (rosewater/glycerin) or fruit enzyme cleanser, konjac sponge and then a light moisturizer – if it’s winter a few drops of jojoba oil with carrot seed oil in it. If it’s summer I might do a clay mask on my T zone every once in a while. I feel like recently people seem to think they always need a toner or whatever random thing is being marketed because all of a sudden toners are everywhere. Same with masks or exfoliators. Though I totally get that if you haven’t quite found what works for you, you might try a lot of things in order to find something that does. That’s true I think especially when you are a teen or 20-something, you’re still experimenting. I guess my message to them is don’t waste your time/money. Thanks for the comment! P.S. love your style and philosophies!! sounds like we are in the same boat Christina. Thanks for the nice words!